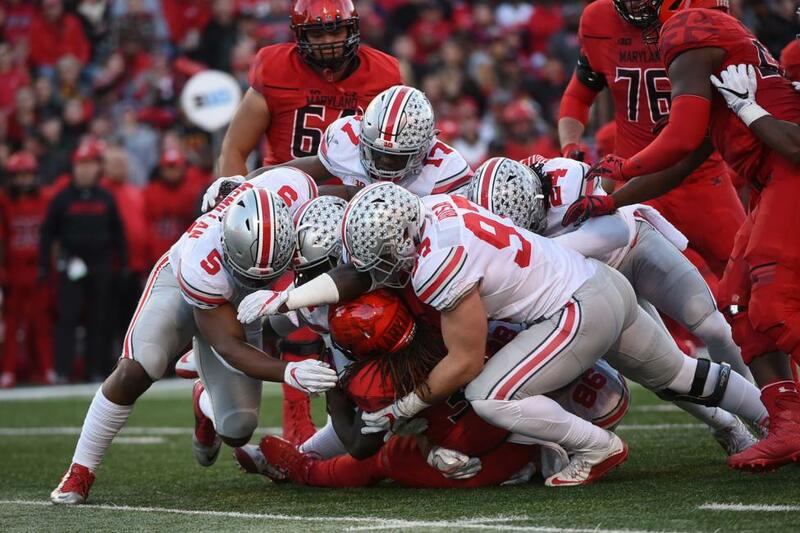 Ohio State will be without its best defensive player when he faces Penn State on Saturday in a pivotal Big Ten matchup. Buckeyes defensive end Nick Bosa will be sidelined for the second straight week, and is likely to miss additional games. Bosa's father, John, told The Athletic that his son could be out until November. "It's going to be a few more weeks, but we expect him back," Ohio State head coach Urban Meyer said Monday. Bosa left Ohio State's win against TCU two weeks ago with what is being reported as an abdominal and groin injury. He missed this past weekend's game against Tulane. Meyer confirmed Bosa underwent surgery, and the school has not provided a timeline of when or if Bosa will return. Meyer's comments suggest Bosa might return sometime this season. Bosa had 8.5 sacks and 16 tackles for loss last season, and he had four sacks and six tackles for loss in the first three games this season. Bosa is rated the second-best overall pro prospect among players eligible for the 2019 NFL Draft by NFLDraftScout.com. Chase Young started for Ohio State this past weekend against Tulane in place of Bosa. He and Tyreke Smith figure to share snaps at one defensive end spot, and Jonathan Cooper will continue to anchor the other end.